You probably have read about the successful pastors, and their mega churches: the top ten richest pastors in the world; the top 50 megachurches in America; millionaire pastors and their celebrity lifestyles; top fifty ridiculously wealthy pastors, and so on. What most of these reports don't include are the stories of everyday pastors, who struggle for years without breaking through. Many die in the process. According to a study, out of the roughly 4,000 churches that were started in the United States in 2014, 3,700 have closed down. Of those that remain open, about 70% are in debt. For every one pastor that breaks through, there are at least 1,000 or more that do not breakthrough. Starting and surviving ministry is by no means for the faint-hearted. 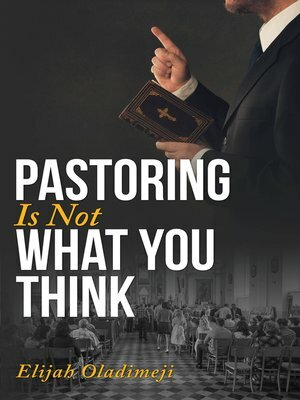 Pastoring is not what most people think it is. If you hope to pastor a church, head a church unit, or answer God's call to service in capacity in Christian ministry, this book might offer some real insights.